Bitcoin’s hash rate or hashing power has come down !! This is what you will hear quite often in the cryptosphere. But have you ever wondered what is the hash rate or hash power? I believe, No, you haven’t. But if you are serious about Bitcoin or cryptocurrencies, you must make an effort to understand this concept of ‘hash-rate’ because this what makes Bitcoin or any other cryptocurrency safe. Moreover, this concept of hash rate is very important for proof of work cryptocurrencies and Bitcoin is a proof of work currency. What Is Hash Rate or Hash Power In Bitcoin? I am taking Bitcoin cryptocurrency as an example here because its the most popular one and many would be able to relate to it. If you remember from my previous article on Bitcoin hash, we have talked about the concept of hashes. 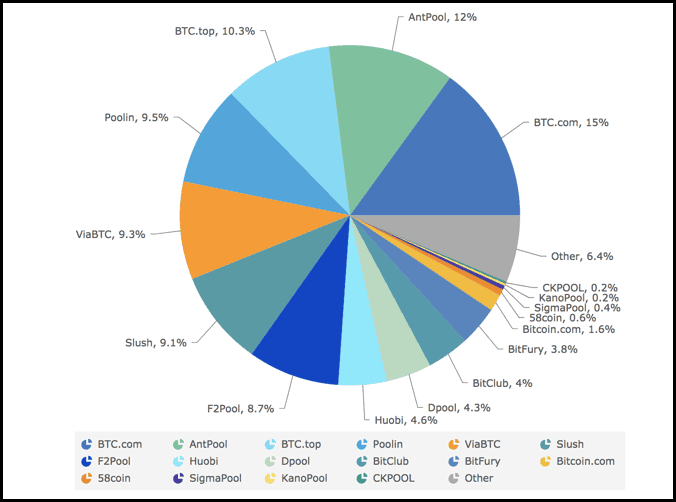 And we have concluded there that these hashes are nothing but cryptographic digests of SHA-256 algorithm in Bitcoin. The ‘hash rate’ or ‘has power’ is the measuring unit of the processing power of the Bitcoin network to calculate Bitcoin hashes. 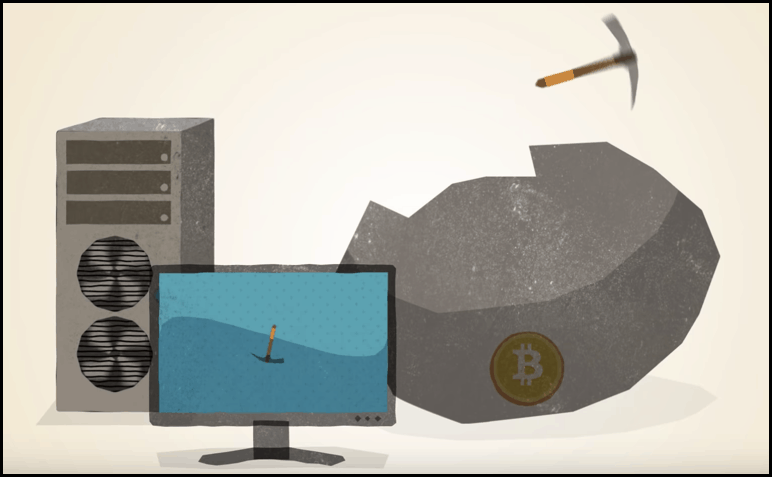 Bitcoin mining utilizes Bitcoin hashes generated through SHA-256 function at various steps of mining. The target at the time writing should be an alphanumeric number which must have 18 or more zeros and should be less than the target value. And the target changes every 2016 blocks. Miners arrive at this hash by applying SHA-256 hash function to block header, but this process is not so simple as it looks. To obtain the acceptable hash, miners need to play with the ‘nonce‘ in an incremental way. That’s why miners repeat this mathematical guessing work numerous times that too with a rapid speed because they are always in competition with other miners and their mining equipment. Later, when a miner finds out the required kind of hash, he/she will be able to add the block to the blockchain and hence win the lottery or block reward of 12.5 BTC. So, it can be said that the hashing power is the power that your computer or hardware uses to run different cryptographic hashing algorithms to generate hashes while mining any cryptocurrency, and in this case, Bitcoin. But now the main question that should arise is, how do we get to know whether the hash rate is decreased or increased? How Is The Hash Rate Measured & its Unit? Just as we learned that Bitcoin mining is an intensive process that allows miners to add blocks to the blockchain and hence preventing spam and keeping it secure. And how does it becomes secure? Well, it becomes secure because every time someone wants to add a transaction or block to the blockchain, he/she must first make many iterations to be able to find the correct Bitcoin hash. And that’s why not everyone can afford to do this huge upfront investment that Bitcoin mining requires for finding hashes. So when we here hash rate of Bitcoin has reached 10 Th/s, it means one has to make 10 trillion calculations per second for 10 minutes to be able to find a correct Bitcoin hash. And that’s how the hashrate’s unit was born. Hash Rate, difficulty, network usage and miner’s profit are highly correlated. Consequently, now the network requires more miners or equipment to provide that differential hash power which is now required to mine the blocks so that 10 minutes average block time can be maintained. And this increases the miners joining the network which in turn compete with each other for the 12.5 BTC block reward and also the block mining fee i.e. the transaction fee combined for all the transactions in the block. On the other hand, as the network usage increases i.e. more transactions happening on the blockchain, means there is less space for every transaction in a block. And in this case, the space in the block becomes premium thus pushing the transaction fee more, which acts as a more incentivized deal for the miners to come and do the mining. At the time of writing, Bitcoin’s hashrate has come down to 38 million TH/s down from its all-time high of 61 million TH/s last year. So that’s all from TheMoneyMongers today and untill you find out how to become a miner, let’s continue learning about the great Bitcoin revolution together. Like Bitcoin? Do share this post on Twitter & Facebook as that’s the easiest way you can help Bitcoin grow ! !